← My New Spring/Summer Collection!! 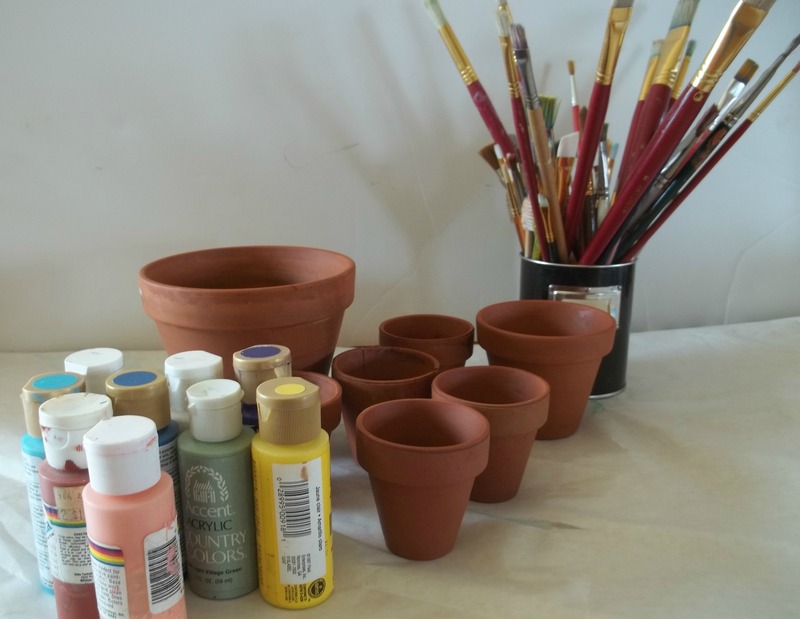 They were pretty boring….so I got out my paints!! 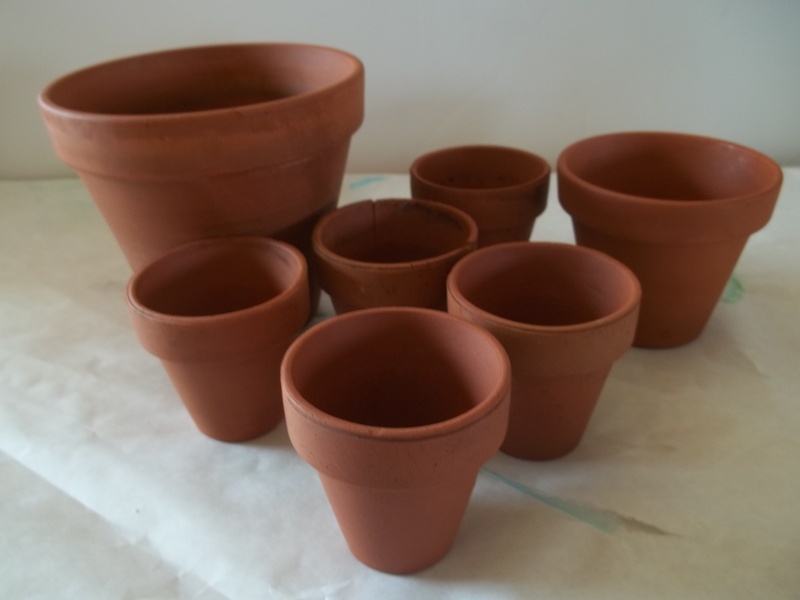 First I washed and dried all my pots…. Then I got out my supplies, remember to cover your work space. Base coat them, I needed a second coat to get a smooth finish! 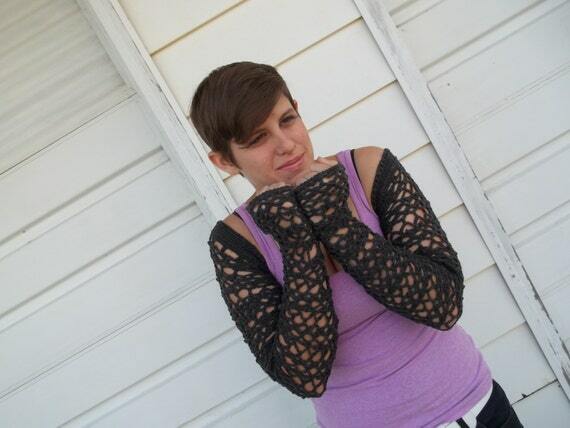 I decided on dots….I thought that would look cute and whimsical!! Now they sit on my piano reminding me of warmer days!! 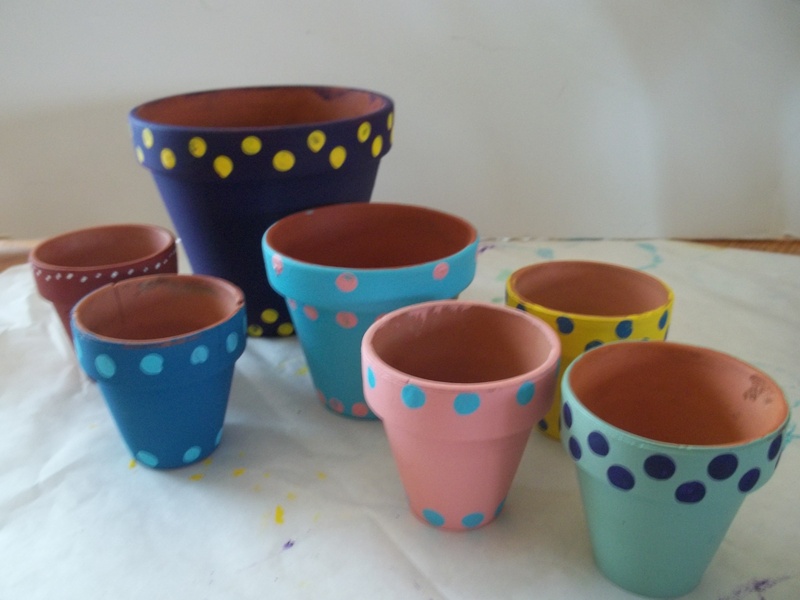 Hope you find the time to create and add a little color into your life, by creating your own Painted Clay Pots!! 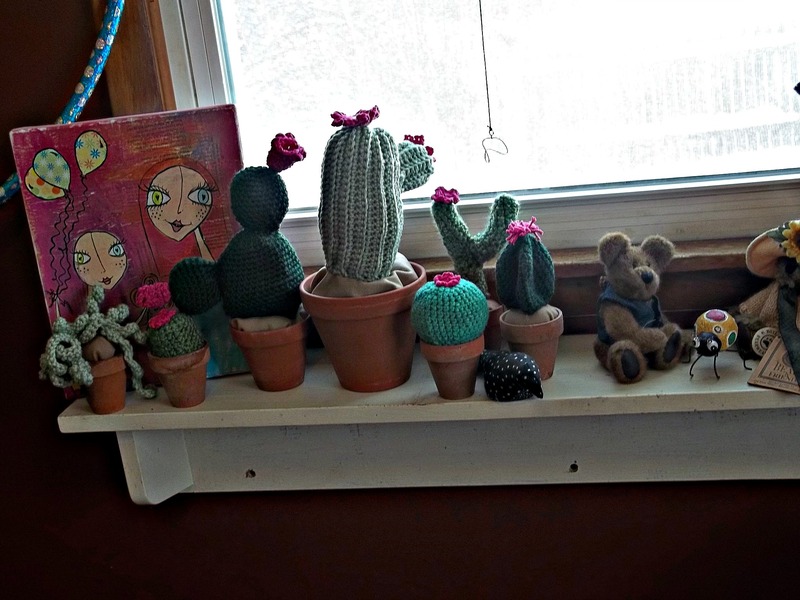 This entry was posted in Family, Handmade and tagged blackravencreations, cactus, cati, D.I.Y., home decorations, Painted clay Pots, painting dots. Bookmark the permalink. 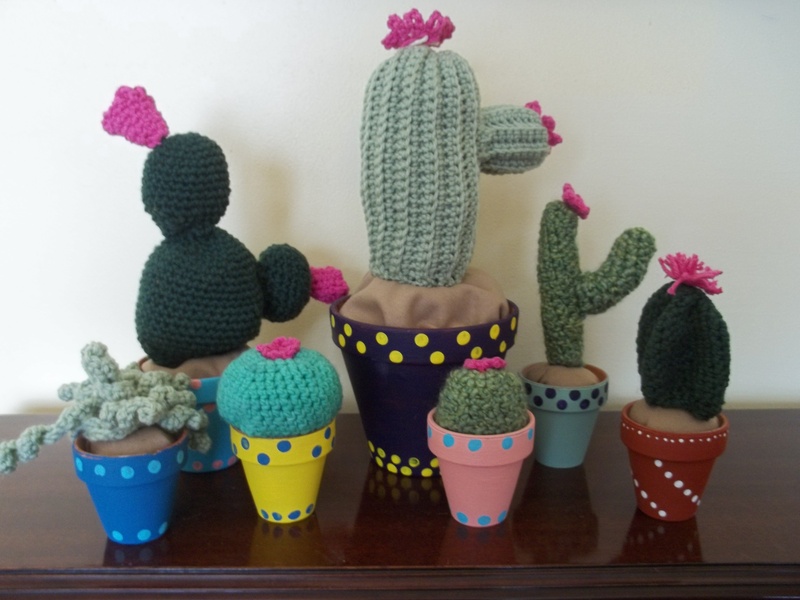 I love your little cacti, as well as your festive pots!!! It must have been a fun project! 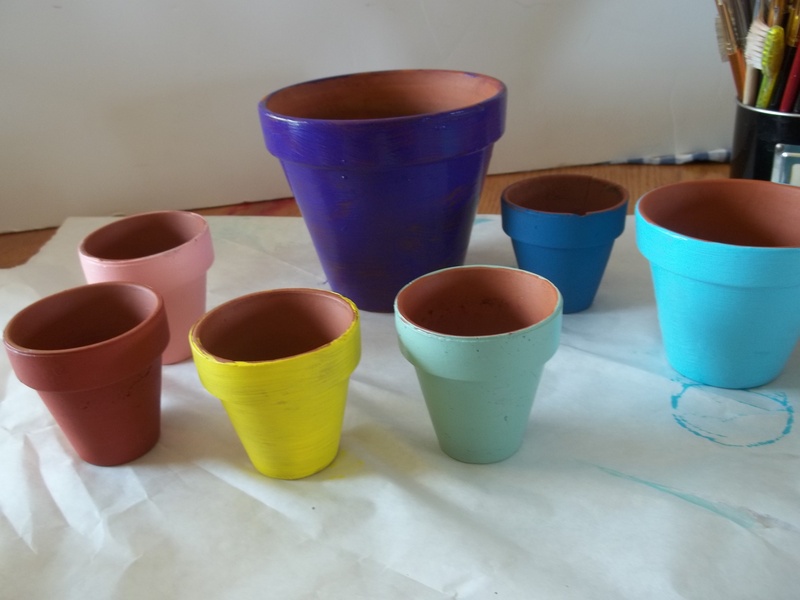 It sure was a fun project…it put a little color into my cold winter!! Freakin’ adorable! I especially like the little one with diagonal dots. I found you on the Blogging Buddies team, btw. Following. Thank you….I too love them, they just brighten up the room! !